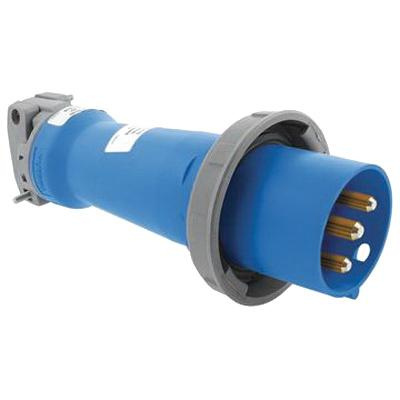 Hubbell-Wiring Circuit-Lock® Watertight, unfused, polarized IEC pin and sleeve mating plug has one-piece non-metallic housing that provides impact and chemical resistance in insulated body. Gasketed sealing ring provides watertight seal and solid 1-Piece pins provide reliable electrical contact. This 2-Pole device has current rating of 60-Amps. It has heavy-duty external cord grips that provide maximum cord retention. IEC pin and sleeve mating plug is UL listed and CSA certified.